With the festive season just around the corner, now is the perfect time to be stocking up your kitchen cupboards with plenty of delicious food and drink. As friends and family are sure to be paying your house a visit soon, why not treat them and yourself to a hamper that will leave you feeling relaxed and satisfied? 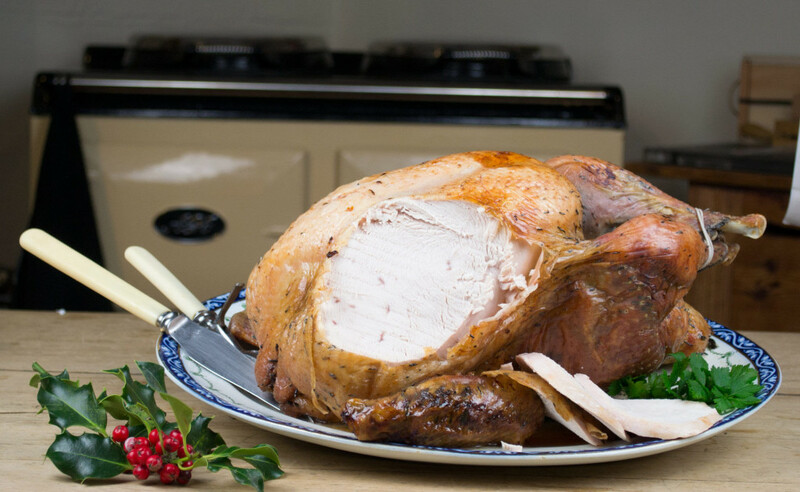 In terms of dinner choices, Christmas just wouldn’t be the same without a traditional turkey and that’s why we’ve got a sumptuous range to offer including free range white turkeys and free range bronze turkeys. 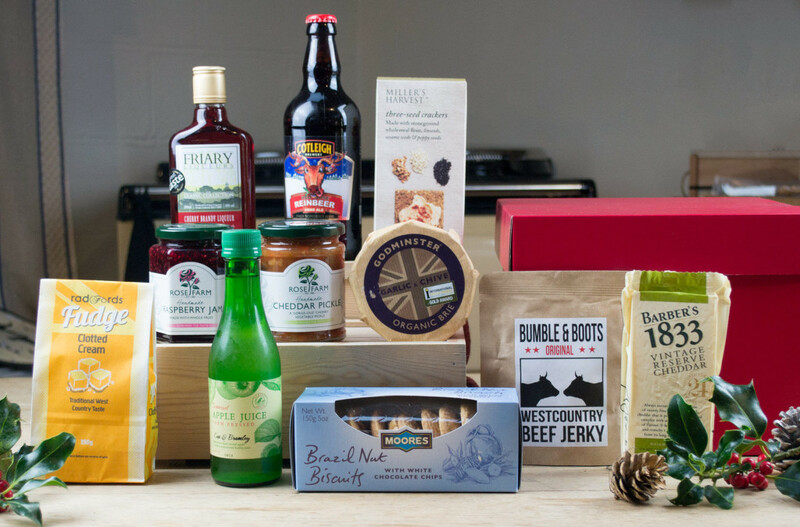 Or if you’re after more than just a turkey, we’ve got a selection of other gift hampers to please everyone in the holiday season! 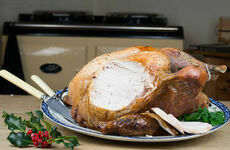 Our fantastic range of turkeys and meat hampers offer the perfect selection to cater for the whole family at Christmas. Complete with all the trimmings and a second meat if you wish, our meat hampers will ensure you’re prepared for Thanksgiving, Christmas Day and any other celebratory occasion in the festive period. Traditional white, bronze, Norfolk black turkey poults are purchased from Kelly turkeys and delivered to use when they are 1 day old. Raised on our own farm in Somerset, the turkeys are traditionally reared and have access to range the pastures around their barns. They are also slaughtered on the farm so the food miles are 0. We hand dry pluck and hang them for 1-2 weeks in order to improve flavour and texture. Whatever the occasion, we’ve got a hamper to suit every kind of event whether it’s a girl’s night in, or a cheese and biscuits evening. 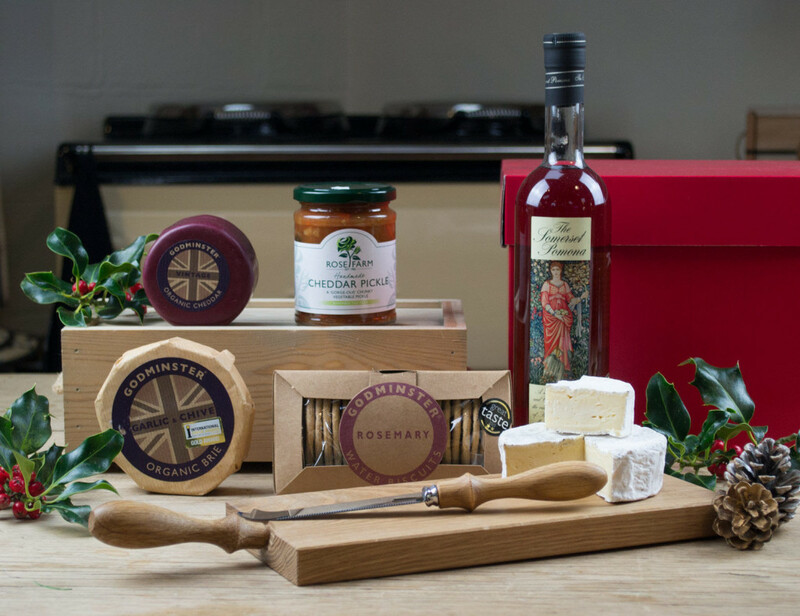 Each of our Christmas hamper gifts are packed with Somerset goodies to ensure everyone gets into the festive spirit at home. Our Christmas range, meat boxes and fresh meat are all available online. However, if you'd like to use our order form for collection at the shop and farmers markets, please download this editable form and email it back to us at info@kimbersfarmshop.co.uk. To see our full Christmas range, please click here.